Quick and Easy Way to Spruce Up Your Mineral Water! Matcha Sparkling Mineral Water is Made with Matcha Tea Powder and Gerolsteiner Sparkling Mineral Water. Disclosure: This is a sponsored post on behalf of Gerolsteiner Sparkling Mineral Water and Blog Meets Brand. All opinions expressed here are 100% mine. I am a little late to the Matcha game, but, I am so glad I finally started to use it. 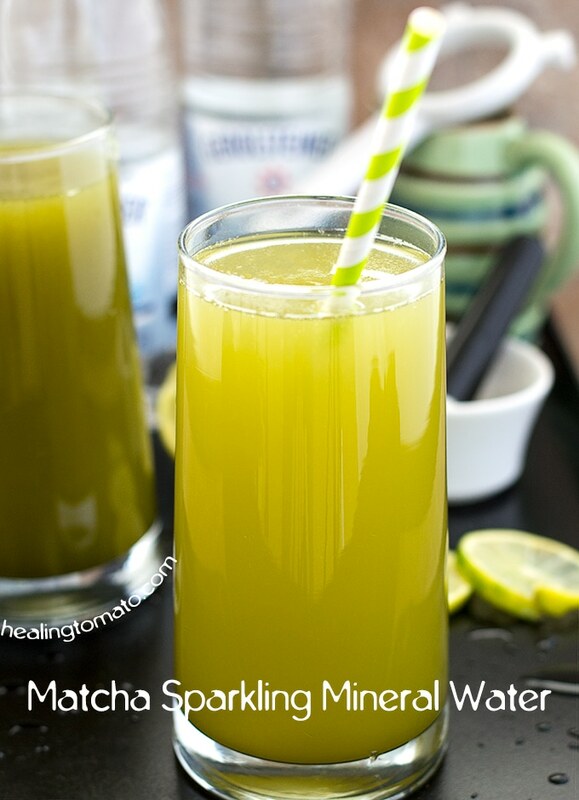 Have you tried mixing Matcha and Sparkling Mineral water? Trust me, you won’t regret it because it’s delicious. You can buy Matcha soda at your local grocery stores, but, it’s more adventurous to make it at home. Making it at home is more satisfying and you can even involve the little ones in this process! The star of matcha soda is the sparkling mineral water! 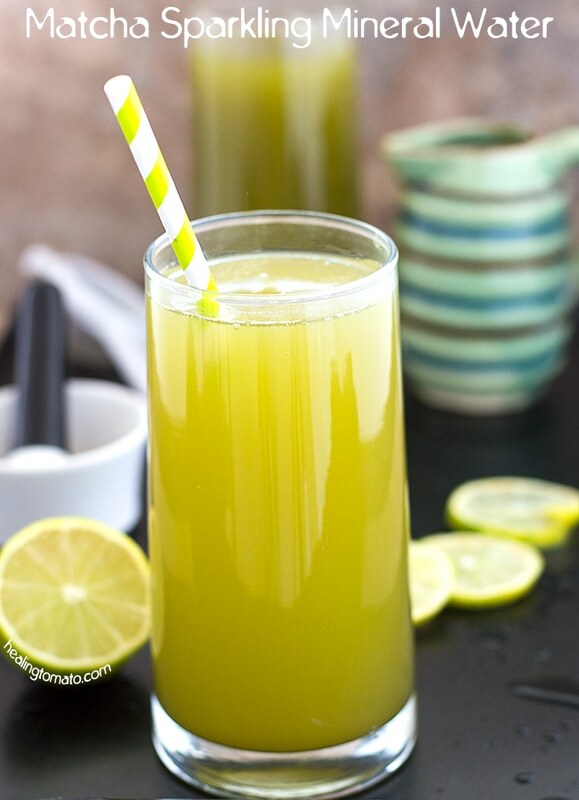 It adds the right amount of fizz to the soda and makes it so refreshingly delicious! It’s not just any sparkling water! I got my hands on the best mineral water ever made! 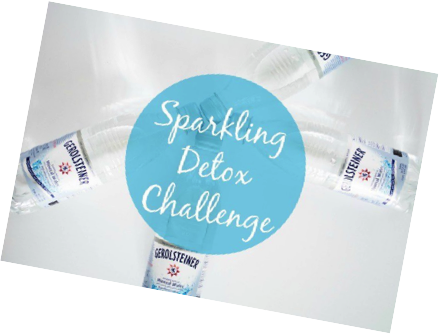 When the folks at Gerolsteiner Sparkling Mineral Water asked me to do a Sparkling Detox Challenge using their sparkling water, I was naturally skeptical. I don’t really understand the detox phenomenon all that much. To me, detoxing meant consuming green juices made with Kale. That is normally a deal breaker for most of us, right? So, I decided to look into what Gerolsteiner’s Sparkling Detox Challenge really entailed. Surely, it can’t be all that difficult? To my (very) pleasant surprise, it’s going to be an easy and fun challenge! All, I have to do is skip the sodas, juices, alcohol, coffee and/or tea! 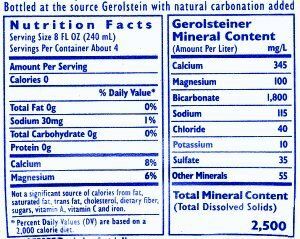 For 5 days, I will commit to only drinking Gerolsteiner Sparkling Mineral Water along with my regular diet. That’s it! This means that I can eat my souvlaki wrap, but, instead of consuming it with a side of regular soda, I am going to drink this refreshing Matcha Sparkling Mineral Water! So, now, I am so psyched for this challenge! From September 11th to September 15th, 2017, follow my detox adventure on social media! Send me your input, encouragement and ideas! This Sparkling Detox Challenge is open to everyone, so, don’t let me do it all by myself! Let’s go through it together and enjoy the rewards. You, too, can enter Gerolsteiner’s Sparkling Detox Challenge giveaway and be one of the 300 very lucky participants will win one case of Gerolsteiner Sparkling Mineral Water. It contains 24 BPA-Free lightweight plastic bottles (16.9 fl. Oz each). Hurry and enter today because registration will close on August 28th!! Have you heard of the amazing Ariane Hundt? 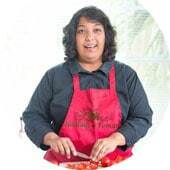 She is a clinical nutritionist coach and has joined Gerolsteiner on their Facebook Group to keep you and I motivated on those 5 days! As you know, staying hydrated has been a huge deal on my blog. I live in one of the hottest states in the country where water drinking is just as important as breathing. This time, I went looking into mineral waters and it has been very educational. Did you know that not all mineral waters are the same? I had no idea! It takes Mother Nature centuries to create it because water moves slooooowly down the layers of earth until it reaches an underground aquifer. It comes in contact with different minerals and rocks which add to its flavor. When this water finally comes back up to the surface, it has been enriched with all kinds of earthly elements. 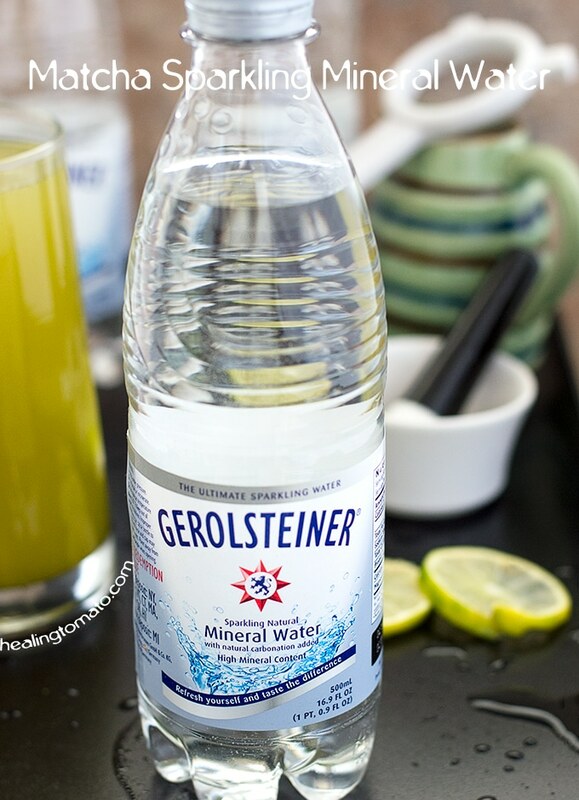 What makes Gerolsteiner’s Sparkling Mineral Water stand out is that it has the perfect blend of calcium and magnesium. Use their comparison tool to see how they stack up with other mineral waters. So, are you ready to accept the Sparkling Detox Challenge?? Matcha Sparkling Mineral Water is Made with Matcha Tea Powder and Gerolsteiner Sparkling Mineral Water. Fill the glass to the top with the sparkling mineral water. Use the remaining matcha mixture to make the 2nd glass. ** When pouring the sparkling mineral water, for best results, tilt glass with one hand while adding the mineral water from the edge.